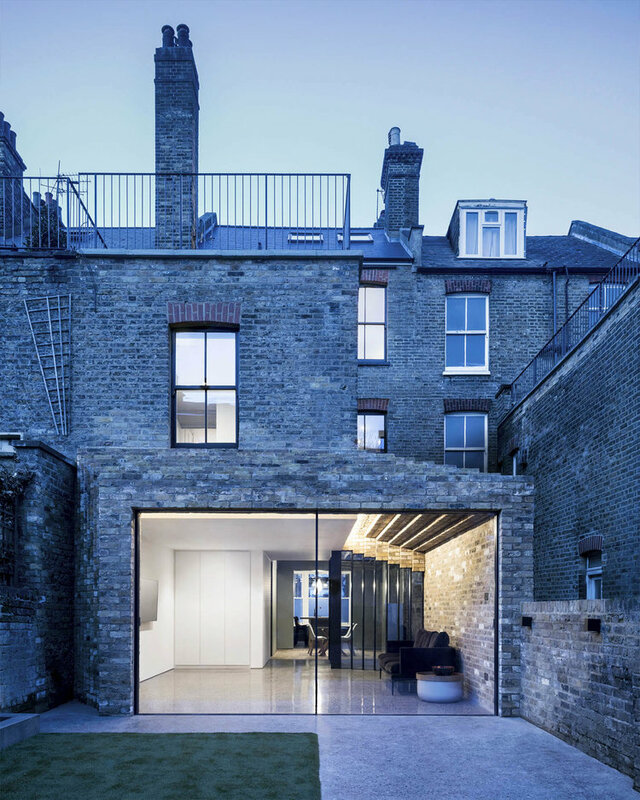 While this terrace house may be located in North London, the idea is easily replicable with our local terrace houses. 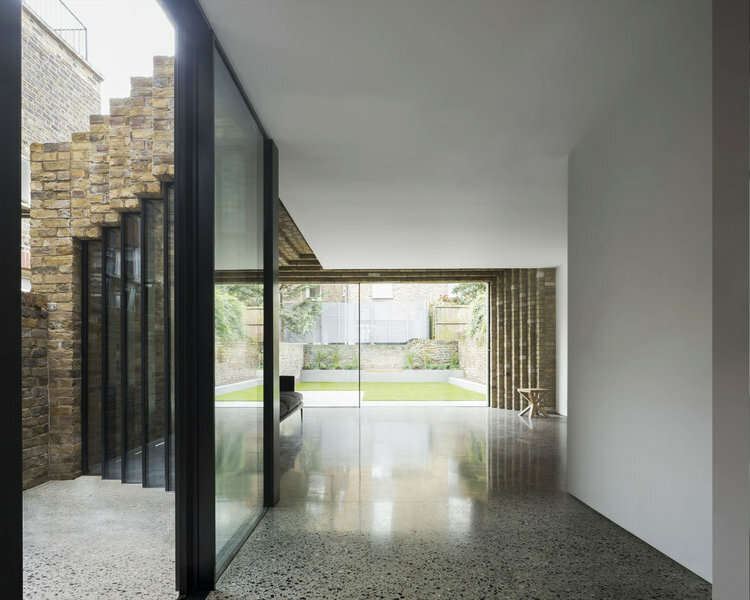 London architectural firm, Bureau de Change, have used recycled bricks as a clever sculptural device. 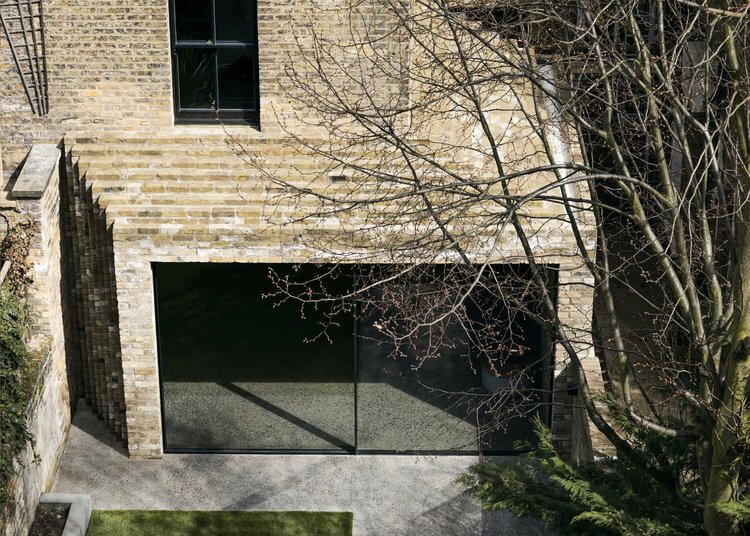 The extension has been built using bricks reclaimed from the fabric of the house. 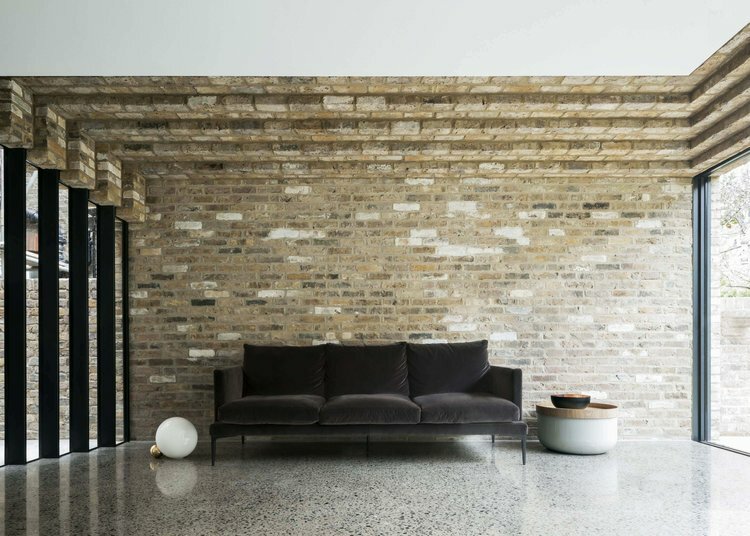 The stepping motif created by the brick is repeated throughout the interior as well. Inside, the standard layout has been turned around, with the kitchen moved to the front of the house. 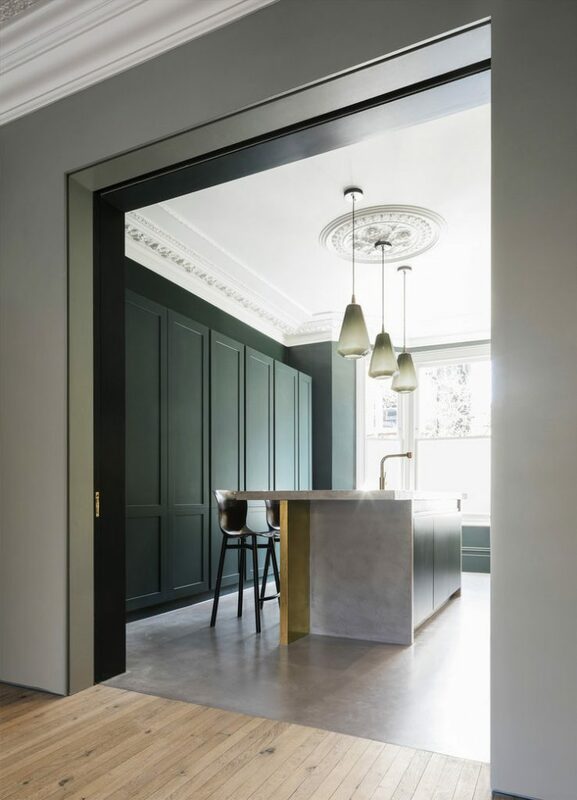 The original features of the home have been retained and accentuated with dark colours and material tones. This darker mood gives way to a lighter feel as you move inward, intensifying the bright and airy feel of the extension. The dining room features narrow timber planks to distinguish from concrete elsewhere in the home.